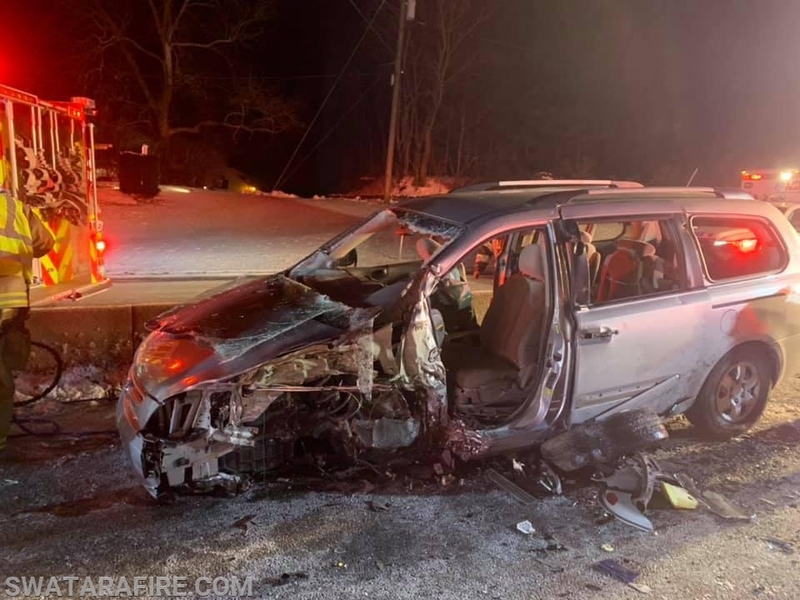 Late this evening, upon clearing an AFA in the 49-5 Box, Box 45-6 was sent to 322 Westbound prior to Kunkel Rd for an MVA with Entrapment. Truck (BC Bradnick) and Engine (LT Oliver) were on the street and responded. The Engine & Truck arrived first and confirmed a head on crash with 1 Trapped and 1 on the ground. Crews utilized portable tools off the Engine and Truck until the arrival of Rescue 91-5 and Rescue 46. Tower 91-3 also assisted as they were one the street as well. Crews from 91 & 46 worked to remove the doors and B post while preparing for a roof removal due to vehicle positioning and injuries. The patient was removed via passengers side and transferred to EMS.